If you are an operator within the hospitality industry, then you know your unique risks and how important it is to have insurance for your business. What aspects will be provided for with your business hospitality insurance? It is coverage for Bed and Breakfast, beach and bush lodges, hotels, guest houses, estates, tented camps, country lodges, and holiday homes. You will receive coverage for rentals, loss of profit, wages, revenue, and levies. You will receive coverage for injury or the death of a guest, subsequent financial claims, damages to the property. Product liability, hunter liability, fire hazards, breakout or relocation of wild animals, personal guest effect, EC directives, property liability and more. You will also receive protection for game-view vehicles, buses or shuttles used for your business, motors for private or commercial use, bikes or quad bikes, go-carts and golf carts used within your hospitality business. Insurance providers know that within this industry an emergency can arise at any given moment, it is why they offer you additional benefits of a 24/7 hotline for emergencies which include the following legal support, first aid or immediate medical guidance telephonic, search and rescue assistance, assault and trauma support, roadside support, accommodation, tow-in support, motor recovery and more. In the hospitality business, there are a lot of things that can go wrong, whether you are liable or not, you will need insurance to take care of any problem. 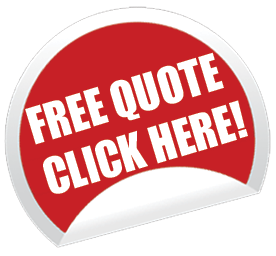 Get hospitality insurance quotes here on Clearwave and be covered within the week.